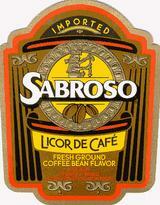 Mexico's finest Sabroso coffee liqueur with a unique bottle shape that suggests its ancient heritage. The full rich flavor that makes coffee one of the most popular liqueur tastes. Delicious straight up, on the rocks, or in a wide number of mixed drinks.